This entry was posted on December 28, 2013 at 11:03 pm	and is filed under Uncategorized. 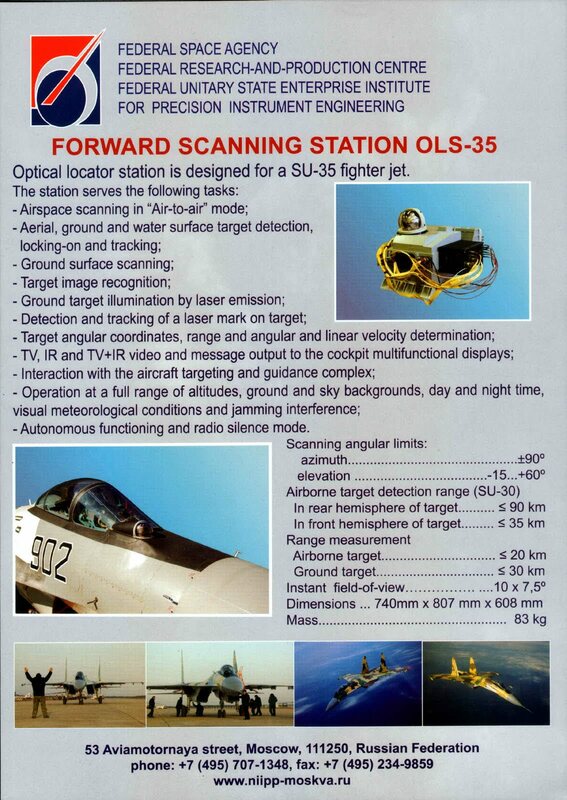 Tagged: irst, OLS-35. You can follow any responses to this entry through the RSS 2.0 feed. You can leave a response, or trackback from your own site. Apparently the justification for the F-35 is to fight aircraft armed with this system. Unless the Su-27 variant pilot is incompetent, that will not end very well for the F-35 pilot. United States seem to preparing mainly for wars against Arab countries, so F-35 may well perform as expected – through no virtue of its own. I suppose if they manage to sell these to the expected enemies, the disadvantages would be negated – both sides using a subpar aircraft.